The Alphacool Eiskamm is the perfect cable comb for laying cables neatly and getting the best look for your system. The Alphacool Aluminium Eiskamm is the optimal solution for laying cables neatly and getting the best look for your system. 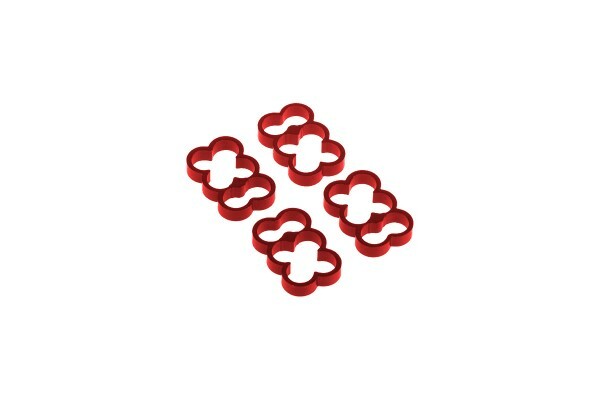 The Eiskamm cable combs, cut from aluminium tubes, are much stabler than acrylic versions. To prevent damage to the sleeves, all corners are rounded off - sharp corners that can cut into the sleeve are history. Of course, Alphacool offers several sizes for every cable type, from SATA cables to 8-pin right up to 24-pin ATX cables, all available in different colours.